For Centuries, horses have been recognised for their amazing talents as teachers. We welcome you to the herd at Old Shawls Farm: the perfect place for time spent learning from these amazing sentient beings. Horses are described as on land dolphins. They can teach you a great deal about yourself and therefore how you perform and behave in your business. This will enhance your communication skills both with yourself and others. Take time out of your busy schedule to step into the horses’ world, learning gentle trust based leadership, the art of horse whispering and a way of being that enables you to be the person people and horses want to be with. Contact us to find out how we can help your business reach the next level. 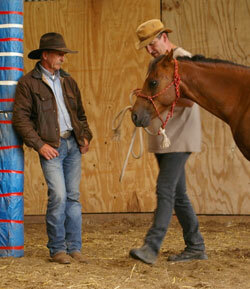 You are welcome to bring your team and learn from the horses under John’s expert guidance. Please wear sensible foot wear and get ready to have an inspirational time in the magical Black Mountains. Don’t know what direction to take, feel you need clarity? 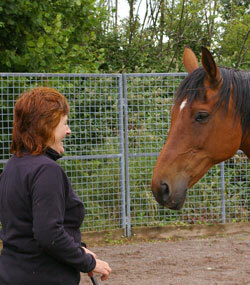 Come and spend time with the horses, they can help you learn to listen to yourself and see things in a different light. No knowledge of horses’ necessary. By communicating with the horses they will help you find the path you are looking for and the confidence to achieve your goals. We look forward to seeing you soon and having fun with horses.